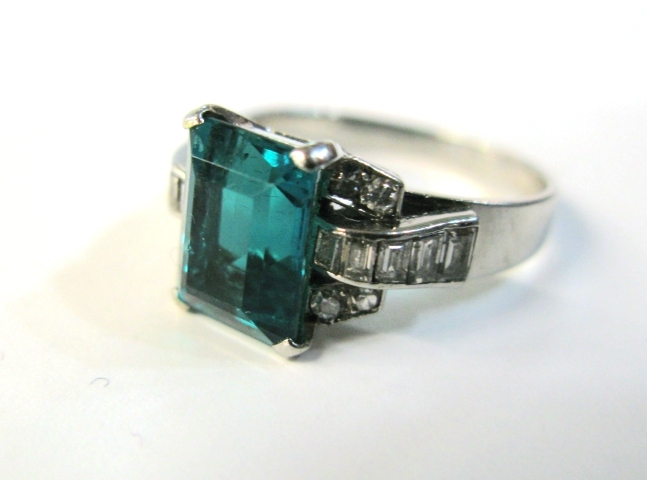 A stunning platinum Art Deco ring, featuring 1 claw set emerald cut vivid slightly bluish green emerald, est. 3.00ct; 10 straight baguette cut diamonds, est. 0.50ct. (clarity: VVS2 - Si2 & G-H colour) and 8 old single cut diamonds, est. 0.15ct.